Dr. Brent Myers understands the complex calculus involved in resuscitating patients better than most. As the Director of Wake County’s Emergency Medical Services System, he is often on the phone with paramedics deciding whether it is time to give up trying to restart someone’s heart. “There is really nothing in the literature to guide us,’’ Myers says. 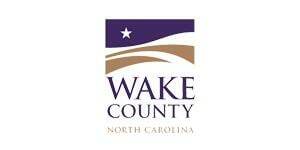 The Wake County (NC) EMS Service can show conclusively that paramedics can continue chest compressions on cardiac arrest victims for up to an hour with a low risk of neurological damage. By examining the data from 2,900 cardiac arrest cases, Myers concluded that 100 people in Wake County survived cardiac arrest without brain damage because Wake EMS chose to ignore the 30-minute rule of thumb and continue chest compressions when other factors looked favorable for the patient. Hearts across the country beat the same way, but whether the heart can be restarted is vastly different depending on where you live.... I’d like to see that change. Myers says the 30-minute guideline is about 30 years old and predates CPR advances that call for continual compression and cooling patients. But conventional wisdom regarding how long to try and restart a heart was so entrenched that even family members would ask paramedics whether it was worth it to keep trying to restart their loved one’s heart. “You don’t want to resuscitate someone only to have them suffer brain damage,’’ Myers says. Prior to this project, Myers already had some experience with analytics. When Wake EMS began adopting newer standards for heart attack patients in 2005, the paramedics kept careful data on survival rates. Actions like continued compressions, cooling patients, not moving them until a pulse is restored, and sending specially trained paramedics to the scene of every cardiac arrest victim has increased the survival rate 48 percent in Wake County. Attempting to figure out who should receive CPR beyond 30 minutes, though, was trickier. There are three types of heart rhythms a paramedic encounters at a cardiac arrest scene. One is a complete lack of rhythm - a flat line. A second is the type of rhythm that can be shocked into a normal rhythm by using a defibrillator. The third rhythm shows electric activity - just no movement of blood through the heart and no option to restart the heart by shocking it. The data showed that it was worth continued compressions to try and restore a pulse in both of the latter types of heart rhythm. It was futile to continue compression efforts past 20 minutes on patients with no rhythm. Myers believes that this particular effort is just a start. He wants to further explore what types of biomedical signs (such as the concentration of carbon dioxide in an exhaled breath - a measure of blood flow into and out of the lungs) indicate a better chance of succeeding with compressions. He wants to continue sharing his data analysis and encourage other EMS systems to measure what they are experiencing and share those data. Help people survive cardiac arrest by understanding how long to continue cardiac resuscitation without causing brain damage. The Wake County (NC) EMS Service discovered variables that predict when it makes sense to continue cardiac resuscitation without risk to brain function.